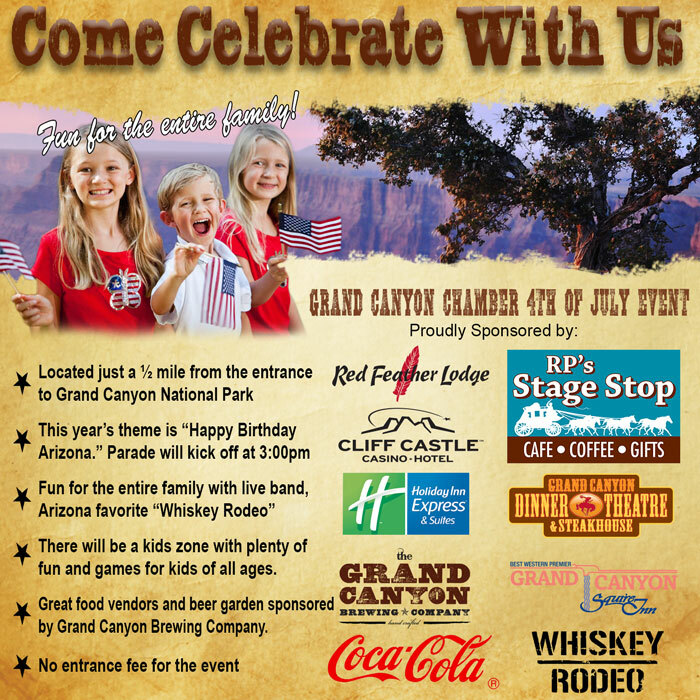 The Grand Canyon Chamber of Commerce will be conducting a day of festivities on July 4th to celebrate the country’s 236th birthday. 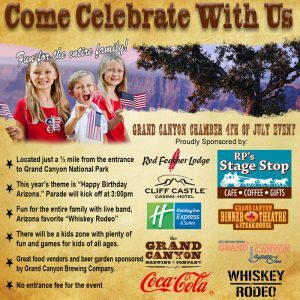 This annual event includes a parade, music, food, and plenty of chatter about the mile-deep chasm that weaves together a crowd of locals and park visitors alike. Though historically this event does not include fireworks due to the tinder dry forest conditions in the area, the Chamber always finds a way to make sparks of their own. This event is one of the more festive occasions on the community calendar each year, so don’t miss it.